Start your mornings with a refreshing protein shake featuring the irresistible fruity flavor of strawberry. Made for busy schedules, this delicious, gluten-free shake is a simple way to help bring energy to your day. 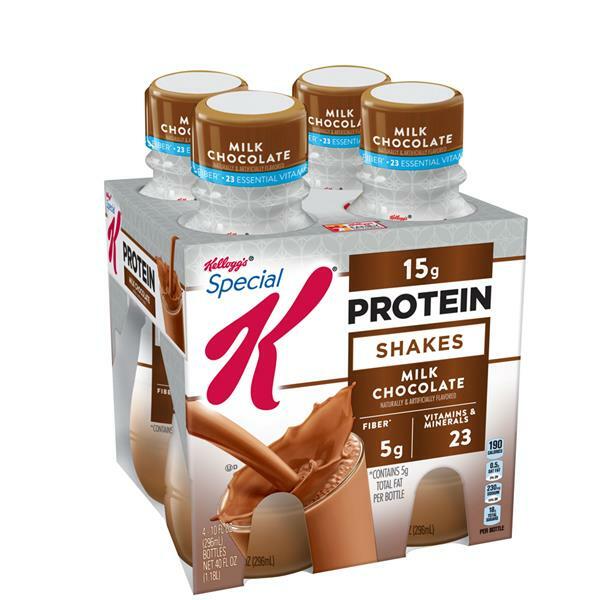 A tasty part of any balanced diet, Special K Protein Shakes are ideal for home, work, or school, and are an excellent addition to your workout routine. 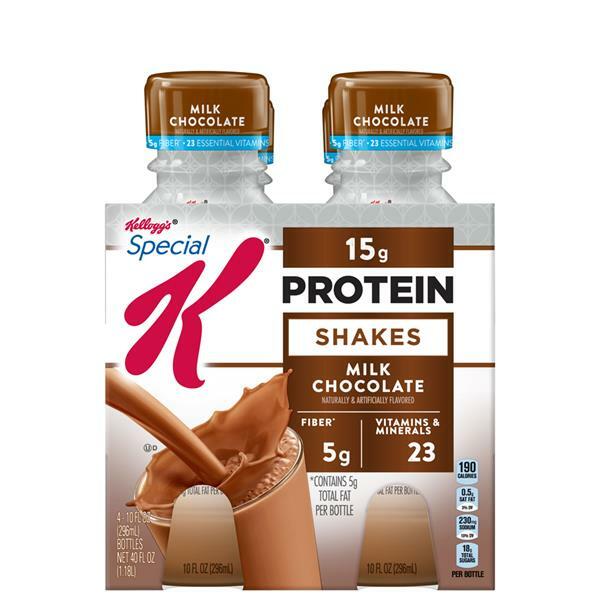 With 15 grams of protein per serving, this shake is also an excellent source of 21 vitamins and minerals and provides a good source of your recommended daily value of dietary fiber. Convenient, delicious, and made to enjoy chilled. 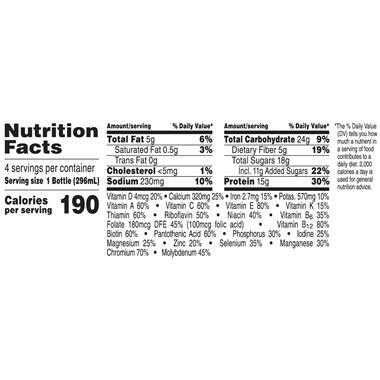 INGREDIENTS: WATER, NONFAT MILK, SOY PROTEIN ISOLATE, SUGAR, CONTAINS 2% OR LESS OF CANOLA OIL, POLYDEXTROSE, COCOA PROCESSED WITH ALKALI, NATURAL AND ARTIFICIAL FLAVORS, GELLAN GUM, CELLULOSE GUM, POTASSIUM CITRATE, DIPOTASSIUM PHOSPHATE, SUCRALOSE, ACESULFAME POTASSIUM.VITAMINS AND MINERALS: MAGNESIUM PHOSPHATE, TRICALCIUM PHOSPHATE, VITAMIN C (SODIUM ASCORBATE), VITAMIN E (ALPHA TOCOPHEROL ACETATE), VITAMIN A PALMITATE, NIACINAMIDE, IRON (FERRIC PYROPHOSPHATE), CALCIUM PANTOTHENATE, ZINC SULFATE, VITAMIN D3, MANGANESE SULFATE, VITAMIN K1, VITAMIN B1 (THIAMIN HYDROCHLORIDE), VITAMIN B6 (PYRIDOXINE HYDROCHLORIDE), VITAMIN B2 (RIBOFLAVIN), POTASSIUM IODIDE, FOLIC ACID, BIOTIN, CHROMIUM CHLORIDE, SODIUM MOLYBDATE, SODIUM SELENITE, VITAMIN B12. Contains milk and soy ingredients.